Get the speed you need with no data caps and faster speeds for a better price. Thinking about switching internet providers? Consider WOW internet! Get the speed you need with no data caps and faster speeds for a better price with WOW! 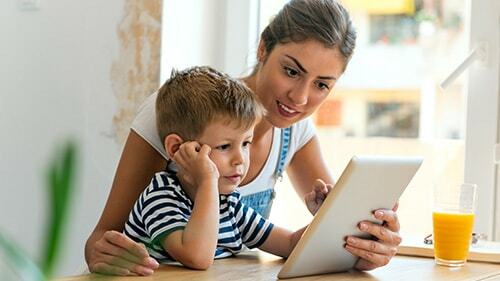 With multiple internet plans to choose from and internet speeds up to 1000 mbps, WOW will keep your family well connected. Your family will be able to stream, game, socialize and surf with these fast speeds. Plus, all WOW plans are data cap free! Cable & Fiber Internet Service. Internet Speeds Up To 1 Gig (1000 Mbps)! WOW internet plans now have speeds up to 1 Gbps! (That’s 1000 Mbps!) Plus WOW internet subscribers also enjoy deals like next day installation, a 2 year price assurance, 24/7 award winning customer service, a risk free 30 day money back guarantee and more! It’s easy to make the switch to WOW! 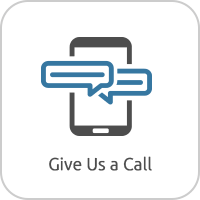 Internet, call us today! Already have WOW internet and need Wi-Fi or need to upgrade your existing router? With WOW internet, you can purchase your own router if you choose to do so. In fact, getting a new standalone router or a modem router combination often delivers faster speeds, better range and more advanced features. View our top wireless router picks for 2019 that are compatible with all WOW internet plans here. Don’t want to pay the $10 every month for an outdated WOW modem that you don’t even own? Pick up the speed by purchasing your own! See our top modem picks for 2019 that are compatible with WOW internet plans here. All your questions about WOW internet service have been answered! See all of our frequently asked questions regarding WOW internet here. Is WOW internet right for your family? Get all the details on WOW internet from speeds, coverage, availability and technology. Read or full, in-depth review of WOW internet here. Switch To WOW! Internet Today! Switching to WOW internet service is easy! Simply call 1-888-710-3474 to get started, we are here and ready to help you make the switch to WOW internet. Plus, switching to WOW is risk free! They are so confident that you’ll love your new internet service that it comes with a 30 day money back guarantee. Try WOW for 30 days and if you’re not happy or completely satisfied with your new WOW internet service, you can cancel before the end of our 30 days and get your money back. Switching To WOW! Internet Is Risk Free! Call 1-888-710-3474 To Switch To WOW! Today! WOW internet plans start at 100 Mbps for only $39.99 per month! There are three plans to choose from – Internet 100, Internet 500 and Internet 1000. 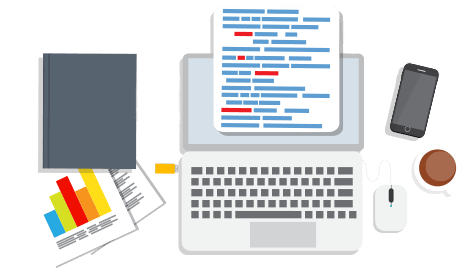 All three plans have amazingly fast speeds, high capacity bandwidth and 24/7 award winning customer service at reasonable prices. To see if WOW internet is available at your home, please call 1-888-710-3474 today! Internet Plans Start At Only $39.99/Mo! Three High Speed Internet Plans To Choose From. Internet Speeds Up To 1 Gig With WOW! With internet speeds up to 1 Gbps, WOW internet service has your family covered for all your internet needs. These speeds are perfect for large connected families with many devices! 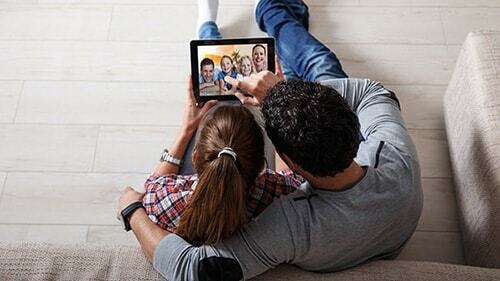 Your family can stream, game, socialize, surf the internet and more! It’s also great for any IOT or smart home devices you have in your home. High speed internet with WOW has faster speeds, more bandwidth and less buffering for the whole family. Call 1-888-710-3474 to get faster internet with WOW! Faster Speeds & Less Buffering! All WOW internet plans have no data caps! This means you can stream, surf, socialize, game and more all your family wants without worry! No matter how much your family enjoys your new WOW internet service, you will not be subjected to data caps or throttling. There are no extra fees and your internet will not turn off for using it a lot like other internet providers do. Enjoy your new WOW internet as you wish with unlimited data! No Throttling Of Internet Speeds! WOW has internet service available in 9 states across the country including Alabama, Florida, Georgia, Illinois, Indiana, Michigan, Ohio, South Carolina and Tennessee. 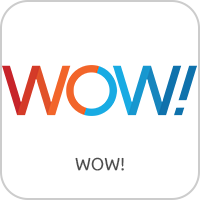 WOW is available in cable and fiber optic internet connections depending on where you live. Call 1-888-710-3474 to see if WOW internet service is available at your address today! WOW! Internet Service Is Available In 9 States Across The Country! Call 1-888-710-3474 For Specific Address Availability. Internet only plans are available! With WOW internet, there is no home phone or TV service required to subscribe to WOW internet. Because WOW is a cable and fiber internet provider, you can still enjoy WOW standalone internet if you choose to. WOW will not force you into extra services your family does not want or need. Call 1-888-710-3474 to order WOW internet today! Ask us how you can save money by bundling phone and internet service. WOW! Internet Only Plans Are Available! No Phone Or TV Service Required For WOW! Internet. Have Wi-Fi dead spots, endless buffering or weak signal in parts of your home? When you switch to WOW you have the option of subscribing to whole home Wi-Fi too! No matter what the size of your home or what materials it is made of, the WOW! Home Mesh Networking powered by eero is designed for any home. It uses multiple access points throughout your home to deliver a consistently strong signal everywhere you need it. 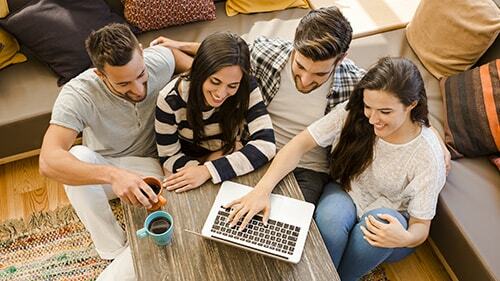 It’s perfect for homes that have Wi-Fi network issues and families that want their Wi-Fi to work perfect without all the fuss. For your eero base and one beacon, the WOW! Home Mesh Networking powered by eero is $14.99 per month. It can be added to any WOW! Internet package you choose. Get A Strong Wi-Fi Signal Everywhere You Need It. Can Be Added To Any WOW! Internet Package. wow	Overall rating:	4.6	out of 5 based on 3	reviews. Availability Available to new residential customers only. 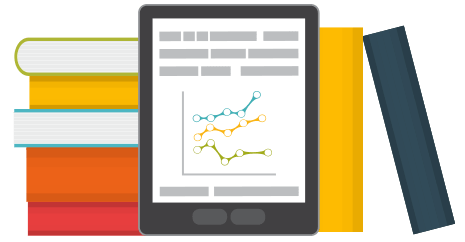 Pricing Per month rate requires a 2-year service plan agreement, enrollment in AutoPay and Paperless Billing. After 24 months, rate increases to regular rate. Pricing subject to change. AutoPay credit of $5 per month applies only after enrollment and may take up to one billing cycle from time of AutoPay enrollment to appear on your bill. Bill automatically increases $5 per month if you fail to maintain AutoPay. 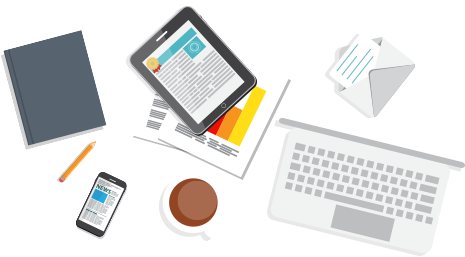 Failure to enroll or termination of enrollment in Paperless Billing will result in a paper statement charge of $2 per month. Whole-Home WiFi Add-on Pricing Add Whole-Home WiFi, including one eero base and one eero beacon, for $14.99 per month (each additional beacon at $5.99 per month). Home Phone Add-on Pricing WOW! Home Phone service provides one line of service for $9.99 per month. WOW!’s broadband enabled phone service (including access to 911) may not be available if you lose power or your broadband connection. Home Phone is sold with 100 Minutes of long distance for all domestic long distance calls including calls to Canada. A per minute long distance rate applies once the 100 minutes is reached. Discounts Offers not valid with any other discount and may not be combined with other offers. Offers and services subject to change without notice. Guarantee & Cancellation Charges After a 30-day guarantee, Early Termination Fee up to $345 will apply if service cancelled early. ETF decreases by $15 each month during term. For eligibility and terms of money-back guarantee in the event of cancellation of service within the 1st 30 days of service, view WOW! terms and conditions. 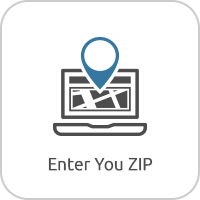 Taxes & Fees Limitations Prices and price guarantees exclude taxes, fees and other charges (e.g., equipment, installation, service call, usage-based, or separately billed charges). Offers and services, along with equipment pricing, taxes, fees and other charges, subject to change during or after promotion period without notice. 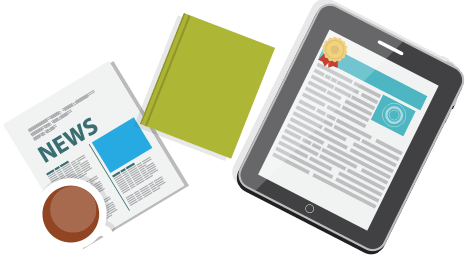 Customers who receive paper statements are subject to $2 per month Paper Statement Fee but may sign up for Paperless Statements within 3 months of installation after enrollment to not incur this fee. Fee is subject to change without notice. Installation Charges Free installation ($50 value) offer limited to the standard activation of one service outlet for WOW! Cable, WOW! Internet and/or WOW! Phone. Modem Requirement Compatible cable modem required for certain services at $10.00 per month. Internet Speed Limitations Internet speeds not guaranteed and may vary by your equipment and other factors outside of WOW!’s control. 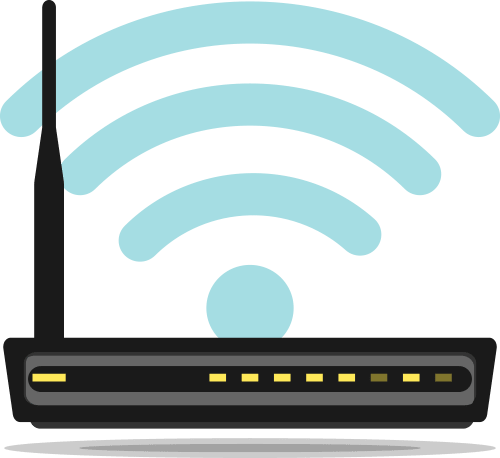 WiFi connection speeds are also subject to limitation of WiFi network protocols currently up to roughly 650Mbps and the capability of the device on the network. Phone Service Availability Limitation Unless you provide backup battery power, WOW!’s broadband enabled phone service (including access to 911) may not be available if you lose power or your broadband connection. Home Phone is sold with 100 Minutes of long distance plan for all domestic long distance calls including calls to Canada. A per minute long distance rate applies once the 100 minutes is reached. Other terms and restrictions apply. See WOW!’s terms and conditions or call WOW! for further information regarding services and offers.